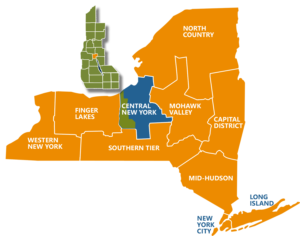 Cayuga County’s economy is heavily influenced by agriculture as the county is among the top sellers of agricultural products within New York State. This is evidence of the industry’s significant presence and importance in the county. According to the 2012 Census of Agriculture, Cayuga County’s 238,444 acres of farmland produced $293.5M in market value of products sold. Ranking by Agricultural Products Sold in U.S.
*Universe is number of counties in U.S. with item. Over 3,000 acres dedicated to certified organic production. Support from the Farmland Protection Program and Cayuga County’s Department of Planning and Economic Development, which work with local farmers to develop alternative energy sources and foster agribusiness and agricultural economic development. 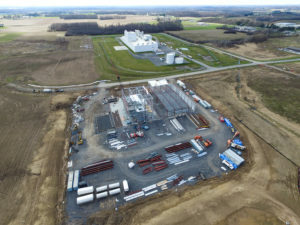 The construction of a value-added milk processing facility, which will lead to product sales in global food manufacturing and nutrition markets. Proximity to the growing yogurt production industry in upstate New York that hosts leading brands of Greek-style yogurt.